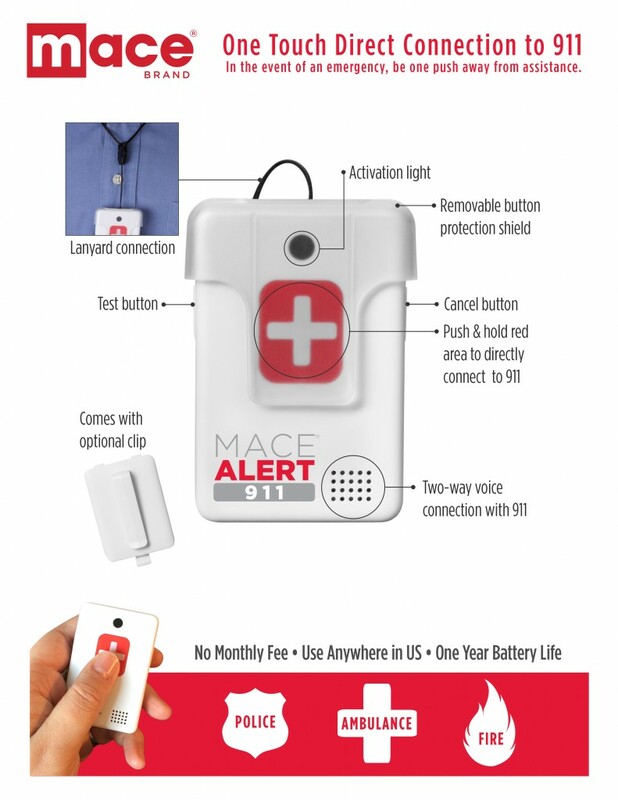 CLEVELAND–(June 22, 2015)–Mace Security International Inc. is proud to introduce Mace® Alert 911, offering a one-touch direct connection to 911 in the event of an emergency. Mace® Alert 911 works anywhere in the U.S. where there is a cellular connection, but does not require a cell phone contract. This personal emergency device is very compact and provides security for everyone, including children, college students, lone workers and active or home-bound seniors. The device includes a lanyard connection and an optional clip for easy access in case of an emergency. “Mace® Alert 911 is our latest product which empowers the user through safety and security. With the simple push of a button, the user is connected directly to 911. This will allow anyone to feel confident and safe in any situation since law enforcement, the fire department or emergency medical responders are easily accessible. Two-way voice capability allows for instant communication with the 911 operator,” says John McCann CEO and President of Mace Security International. There is a one-time purchase price for the unit itself and there is NO RECURRING MONTHLY FEE. 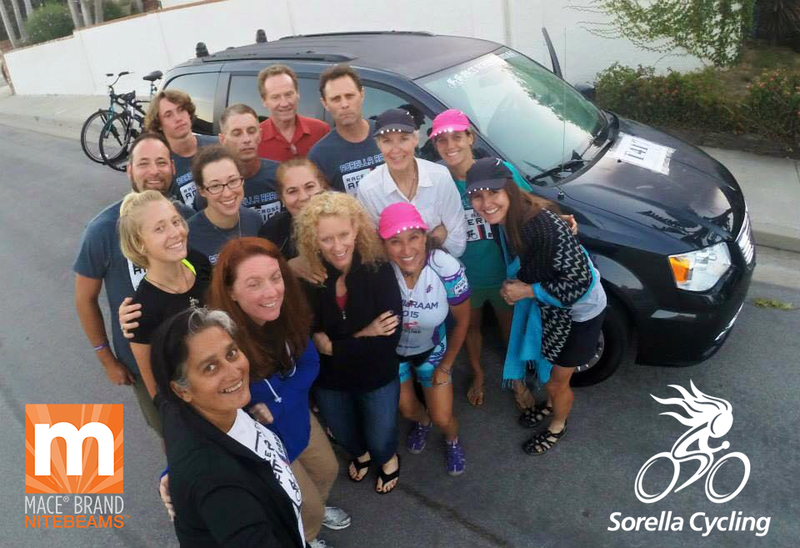 The device is battery operated and can be shared with loved ones. All products along with Mace® Alert 911 can be purchased at Mace.com. You are never alone with Mace Brand Products. Mace Security International, Inc., located in Cleveland, Ohio, is a diversified manufacturer and provider of personal defense and security products to consumer and business market segments under the world renowned Mace® Brand. Mace® Brand directly distributes and supports its branded products and services through strategically targeted customer channels that include mass market retailers, wholesale distributors, independent dealers, e-commerce marketers, and installation service providers. Contact Information: Mace Security International, Inc., 4400 Carnegie Avenue, Cleveland, OH 44103. Email to:john@mace.com. John J. McCann, President and Chief Executive Officer, 440-424-5322. CLEVELAND, Ohio (June 17th, 2015) –Mace Security International partners with Brand Shop and launches new interactive and exciting web experience. Mace® Brand will also be bringing to the forefront the team behind the scenes, showcasing the expertise and passion that is the Mace® Brand and why it is the number one brand for safety and security. This is phase one of this dynamic process and we anticipate even more great material and information to be added to the site in the short and long term.